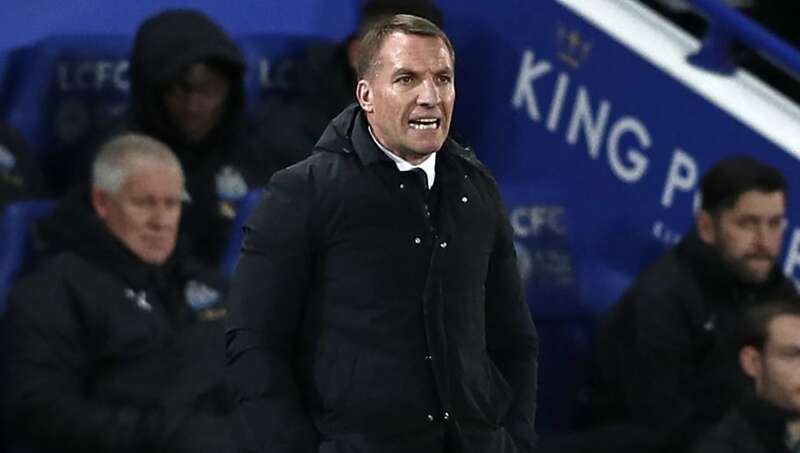 ​Despite earning plenty of plaudits since his arrival at Leicester City, Brendan Rodgers was unable to avoid his second defeat as the club's manager following ​a 1-0 defeat to Newcastle United. Ayoze Perez's first-half header decided the contest at the King Power Stadium, as the Foxes' hopes of securing a seventh place finish in the Premier League come the end of the season took a dent. While ​Leicester were unable to break down a stubborn ​Newcastle side, Rodgers' influence on the club has become evident in a relatively short space of time. As shown by ​Opta, Leicester completed 649 passes against Rafael Benitez's side, which is their highest in a Premier League game since 2003-04 (when Opta began recording this data). What's more, three of their four highest successful pass tallies during their time in the Premier League have been recorded in their six fixtures under Rodgers, highlighting the way the former Liverpool manager will set up the Foxes while he's in charge. It's an approach that has certainly caught the eye, with ​Jamie Vardy reaping the rewards of a new philosophy. The former England international has netted six goals in his last six games, while the likes of James Maddison and Youri Tielemans have also stood out in recent weeks. The possession-based approach is all well and good, although the defeat to the Magpies set another record, although it's an unwanted one for the Foxes. It was the club's eighth home league defeat of the season, which is their most in a ​Premier League campaign since the King Power Stadium opened in 2002, with improving the club's home record next season likely to be a prime target for Rodgers.